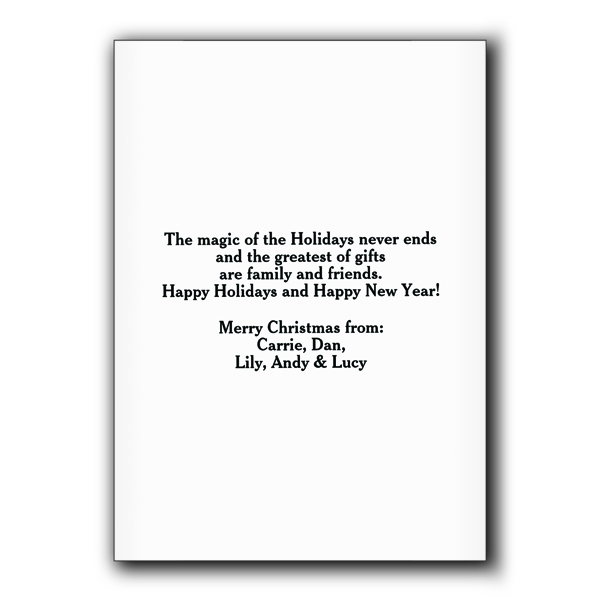 Send greetings of the Season to your family and friends with our Holiday Presents Personalized Christmas Cards. We'll custom personalize any greeting along with any 2 line personalization below, for a customized card to call your own! 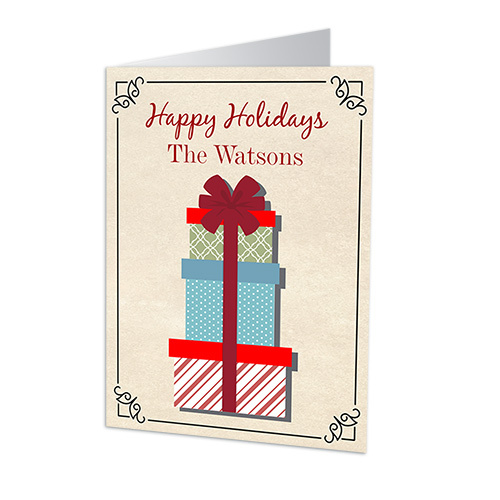 Our deluxe greeting card comes complete with any personalized message inside the card. Verse Imprint Wishing you a happy<br />Holiday Season! May the spirit of Christmas<br />bring joy to your heart<br />and happiness to your home. Warmest thoughts and best wishes<br />for a wonderful Holiday<br />and a Happy New Year.<br />May peace, love and prosperity<br />follow you always. May the love of family,<br />and the joy of the Holidays<br />bring warmth and peace to your home. The magic of the Holidays never ends<br />and the greatest of gifts<br />are family and friends.<br />Happy Holidays and Happy New Year! Wishing you all the hope, wonder and joy<br />that the Season can bring.<br />Best wishes for a Happy Holiday Season<br />And a Happy New Year! The gift of love.<br />The gift of peace.<br />The gift of happiness.<br />May all these be yours this Holiday Season. In warm appreciation<br />during this past year,<br />we extend our very best wishes<br />for a Happy Holiday Season. Greetings of the Season<br />and best wishes<br />for the New Year. Celebrate the wonder<br />and the joy<br />of the Holiday Season! Wishing you Happy Holidays<br />touched with wonder<br />and filled with love. Folded Personalized Cards measure 5" x 7" printed on premium heavyweight card stock. 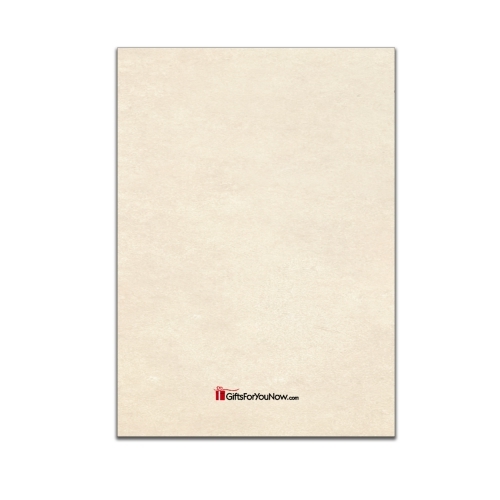 Includes crisp, white envelopes for mailing.